Carlstadt, NJ—To address the need to convert old photos, slides and negatives that are stored in drawers and shoeboxes into digital files, Argraph introduced a new solution: the Pana-Vue Pana-Scan. 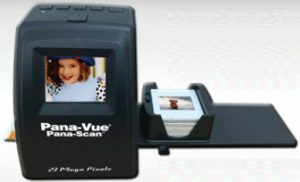 The company’s 23 megapixel Pana-Vue Pana-Scan slide and film scanner is engineered to enable users to quickly and easily convert cherished slides and negatives into high-resolution, 23MP digital images. There is no need to be connected to a computer to convert to digital files. Once in digital form, the images can be shared on large screens, e-mailed and archived. They can also be used to create a range of creative photo output. “We All have them. They represent cherished memories that we would love to see and share with our friends and families. 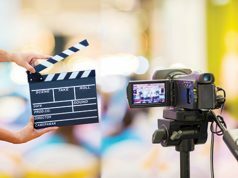 We’re just waiting for an easy, affordable way to turn them into high-res digital images so we can view them, share them, e-mail them, print them, store and organize them,” the company announced. Consumers just need to place their slides or negatives in one of the supplied holders, insert the holder into the Pana-Scan device and press the copy button. They can view the images on its 2.4-inch LCD screen. The images are then stored on an SD memory card ready for use in a computer, to view on a TV screen or to create photo products. The 23 megapixel images are suitable for everything from social media to printing and framing. The device also offers 14 and 5 megapixel scanning resolutions. The Pana-Scan includes a stack loader designed to make scanning 25 slides at a time fast and easy. The stand-alone, 23MP slide and film scanner is compatible with Windows 10, 8, 7, Vista as well as Windows XP Service Pack II (32 bits/ 64 bits). It also works with Mac 10.5 and above. The scanner uses a USB 2.0 port on a computer for both communication and power when used as a card reader for viewing stored images. When scanning, the Pana-Scan operates on either the included rechargeable battery or AC adapter. It can also be powered via a computer’s USB port when scanning. Argraph’s newest Pana-Scan product comes with ArcSoft MediaImpression 2 software for both Mac and Windows platforms. Once images are scanned, consumers can use MediaImpression 2 to edit, crop and enhance them via a computer or tablet/smartphone. They can also use any other photo-editing app. 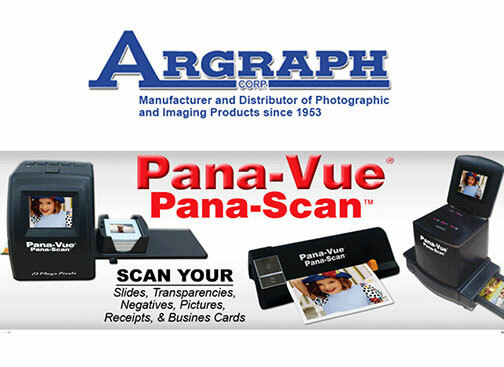 Argraph distributes the Pana-Vue Pana-Scan stand-alone, 23MP slide and film scanner to retailers nationwide. The device has a suggested retail price of $169.